While a life full of color is beautiful, certain colors are more appealing to consumers at specific periods of time. For example, after the attacks on 9/11, Pantone chose True Red as 2002 color of the year to match America’s climate of patriotism. The muted, beige tone Sand Dollar was color of the year in 2006, as the global economy careened into the Great Recession. These colors were trending based on the sociopolitical climate of the world. They gave consumers a new way to communicate a collective mood through fashion, household electronics, and even their vehicles. Consumer tastes are fickle and often change, thanks to their constantly changing lives. This is the reason color must be continually analyzed and matched to evolving customer needs. Color helps companies stay relevant in a world that’s competing for a slice of consumer attention. What worked for consumers last season definitely won’t appeal to them this season. When it comes to staying on the cutting edge, color is your ticket to consumers’ hearts. Manufacturers and product designers can better appeal to consumers by using color trends in their product planning. In fact, on-trend color can increase packaging readership by 40%. Better yet, 85% of customers said color was the number-one reason they picked a product from the shelf. That means color is by far the most important factor separating you from the competition! While it’s easy to assume manufacturers choose colors that look pretty, it’s a simplification. The process of trend-spotting in the color world is as complex and vast as bringing a new product to market. Learn more about how you can spot color trends, and why it’s critical to identify them early. Like Snuggies and Ugg boots, colors trend for a certain period of time before fading into obscurity once again. Savvy companies know that it’s important to pick up on these trends ahead of time. It’s not enough to use cerulean blue in your products because everyone else in the industry is already doing it. Be inventive; be a thought leader with carefully crafted products that center around smart color choices. It all starts with timely color trends. When you spot color trends early enough, it gives your company time to plan and develop products. This helps your products go to market at precisely the right time while meeting your customers’ exact needs. As a huge bonus, it also gives you a huge edge over competitors that don’t use color forecasting! The real trick is learning how to identify these color trends ahead of time. After all, how can you know what your customers’ collective consciousness will be in 2019? It sounds like an unworkable task, but it’s entirely possible to predict color trends with both art and science. In fact, Color Marketing Group has streamlined and structured the process of identifying color trends early. It’s not a hazy science: it’s a data-based, international exploration of color with experts from around the globe. CMG has been forecasting color for over 50 years. Over that time, we’ve designed a process that gives companies the best information possible on consumer needs and attitudes, as expressed through color. We don’t believe color trends can be identified in a vacuum; they’re identified by working with a large network of professionals. 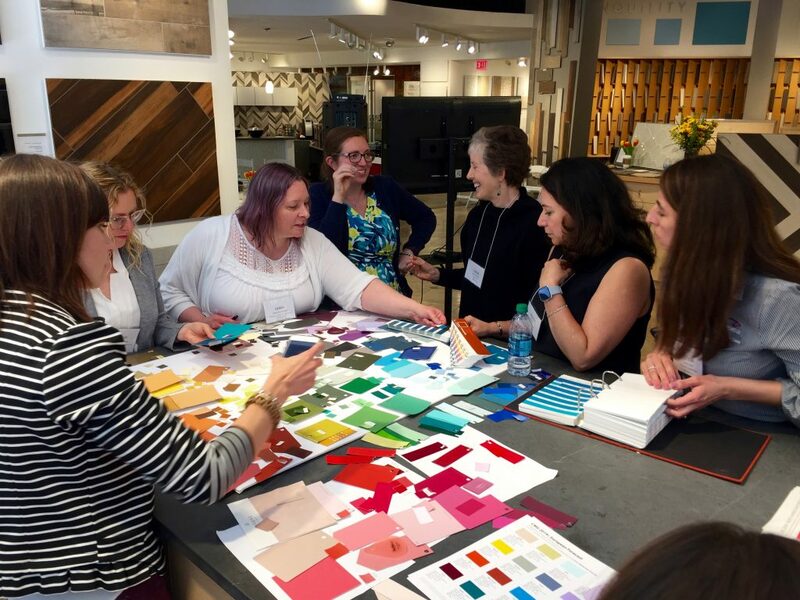 The best way to determine color trends is to bring professionals from around the world to one table, which we facilitate through ChromaZone® events. ChromaZones® are collaborative workshop forums that bring color professionals and marketers together in a non-competitive setting. Together they share information about color for branding, packaging, and messaging. And this isn’t just for fashion or other color-centric industries: color is so universal that everything from bagel packaging to air filters benefit from a ChromaZone’s® data. During a ChromaZone®, the group focuses on color directions two years out. In 2018, for example, ChromaZones® focus on color trends in 2020 and beyond. This allows manufacturers to have ample time for product development and design. 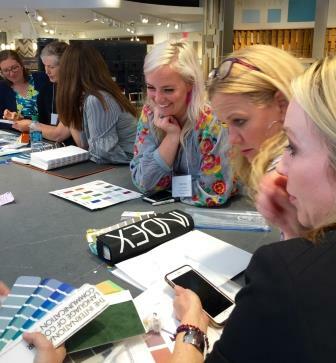 Each professional comes to the ChromaZone® with industry research, color and finish samples, future macro and micro trend information, and color stories to share. After each ChromaZone® workshop, 16 colors are chosen and shared with attendees in a final report. Hundreds of color design professionals from around the globe participate in these events every year, culminating in one final International Summit. The International Summit, held in November every year, invites attendees to bring additional forecast information to discuss at collaborative workshops with cross-industry attendees. During the summit, each participant presents their color palette. CMG provides a structured steering process to encourage collaboration and sharing of color knowledge for their industry and customers. However, this simply helps manufacturers choose a color family; it’s ultimately up to the manufacturer to apply the color that most appeals to their customers’ needs. At the end of the day, color trends should be used as a guide. It’s about listening to your ideal consumers’ ever-changing needs, which differ by audience and industry. Although there are generalized colors of the year for society at large, it’s most important to stick with the colors that best appeal to the people buying your products. After all, lavender might be the color of the year, but it doesn’t make a single dad more likely to buy your aftershave. Color comes and goes as people’s preferences, experiences, and moods change. Although some forecasters like to choose a single color to define each year, that doesn’t mean it’s the best color for your audience. Conduct smart, structured color trend analysis to propel yourself forward as an innovator in the space. Spotting color trends in your industry early means smarter product design, happier customers, and a sharp competitive edge. You look like a beautiful credible company. I would like to know please, what is your research process in identifying color trends for the next year? Dear Abigail. Thank you for your inquiry. I will email you directly with additional information about our color forecasting process and strategy. Thank you for reading our blog.